Istanbul discount hotels are all about timing. Book well ahead and get a good deal. Or catch the last room and get a discount. 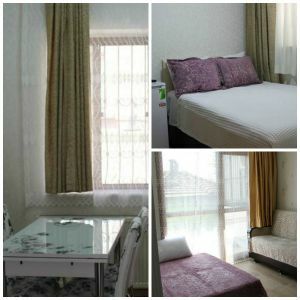 Below are accommodation options in Istanbul currently offered at discounted prices. Select from various types of hotels, hostels or even apartments. Try your luck. Maybe today your favorite spot is on sale! Camelot apartment is located at a perfect spot. 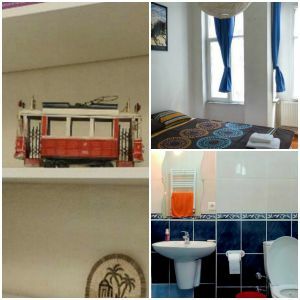 This Istanbul discount accommodation is near major attractions. Easily get to the Blue Mosque, Hagia Sophia, Basilica Cistern and more. This apartment a great view from the dining place. Rooms are spacious enough to be comfortable. The apartment has an air conditioner and television. Wife is available. Owner is friendly and speaks English. Godzilla hostel Istanbul offers a true experience of Turkish every-day life. A typical off-the-main-road street gives you a quiet time after a long day touring the city. Admire the historical building where the rooms are. This is one of the new Istanbul discount hotels located near Taksim. You are a few blocks away from great nightlife on Istiklal street. Walk a little and hop on a Taksim Nostalgic Tram. Find yourself at a metro stop. Most Istanbul tourist attractions are right at your feet now. As a new place, the rooms are fresh and clean. Room space is just fine to rest after exploring the city of 7 hills. Be prepared to share a kitchen and a bathroom. Enjoy the free wifi. 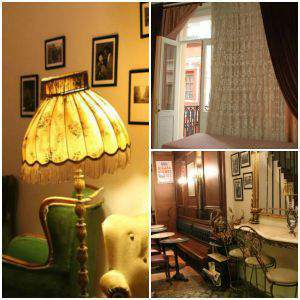 Chambers of the Boheme is conveniently located in Taksim. Two steps away from busy Istiklal street and Galata Tower. There are main bus and metro lines close by. The rooms are clean and well planned. Every room has a locker. Tastefully selected furniture is made of wood. Choose a dorm-like room and save by sharing facilities. Select a great family room and have a cozy stay while in Istanbul. Get even more discount if you are a group of 10. You will get 5-star attention and service here. Ask for help and you will get it. It is a very welcoming atmosphere here. The owner cooks delicious breakfast. Try his special omelet with tomatoes and peppers. This will get you off to a great start in the morning. There are several districts in the city which are close enough to major tourist attractions. Save a buck by staying at Sisli, Fatih or Beyoglu districts on the European side of Istanbul. Kadikoy on the Asian side of Istanbul is another popular destination for tourists. Simply take a ferry across the Bosphorus to reach Kabatas or Besiktas on the European side. 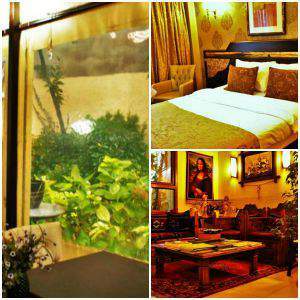 Sultanahmet Park Hotel is a win win among Istanbul discount hotels. Located in the old town of Sultanhament district it is minutes away from all the major tourist attractions. The Blue Mosque, Hagia Sophia, you name it, are right by the door. Rooms have a nice view of Sultanahmet area. Several rooms were renovated recently. Facilities are clean and spacious. Breakfast is served in a cosy garden. Get your first cup of morning tea or coffee here. You will be greeted by friendly and helpful staff. Reception desk is there for you 24 hours. Free internet access is available.